It’s always tough when trying to narrow down a list like this, but at the same time it’s one of my favorite things we do each year. There is something about reflecting back on the last year that I enjoy. On Episode 257 (Part 2), we thoroughly broke down our Top 10 Movies of 2017 and had a blast discussing the films that moved us the most last year. 2017 was a great year overall with many films that helped tap into the progressive mindset that unfolded in vivid ways in the last year. 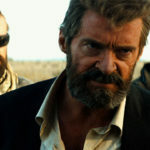 Understandably, many people have been angry about certain issues in our political and social landscape, and the great films we saw last year seemed to mirror that palpable feeling seeping throughout the discourse online. No doubt that 2017 will be a defining year when it comes to film and the industry in Hollywood. We do encourage you to listen to Episode 257 to hear more about our picks, but as we do every year, listed here is my Top 20 of 2017. It pains me that not all of these films could be in my Top 10, but math is math, so what are you going to do? That being said (after the jump), let’s get into it and go over my Top 10 Movies of 2017. 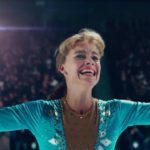 Craig Gillespie’s ambitious direction and self-awareness made I, Tonya a refreshing and hysterical look at Tonya Harding’s life and what drove the events of her downfall. The meta commentary that is front and center makes these characters more attainable and more nuanced given their contradictory narratives. What makes the film so captivating to me though is how Gillespie never loses sight of the humanity that is underneath the lunacy. The film never shies away from Tonya’s faults, but it also adds perspective and sympathy to her when you see how she was abused by everyone around her. She had to constantly fight for herself, with the people close to her and also the political biases against her in the skating world. 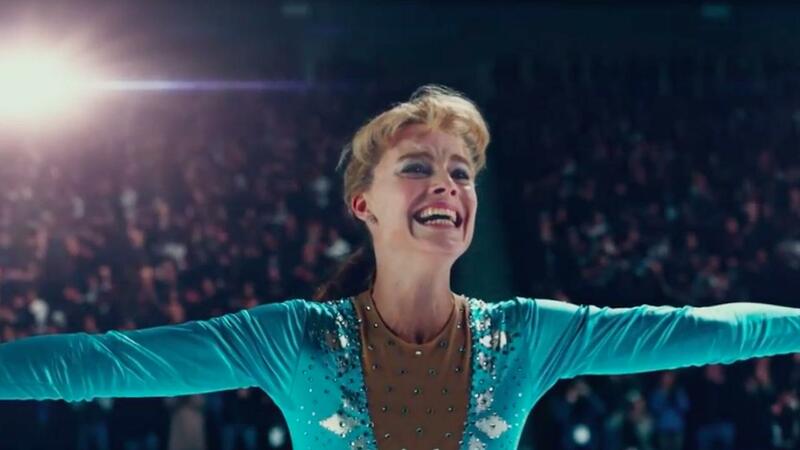 As a result, Tonya becomes course, rigid and sometimes oblivious to what’s happening around her, qualities she turned around and used as strengths. It’s easy to look at the story of Tonya Harding and make a superficial judemnt on it, especially given how the media portrayed her as a villain, but I, Tonya argues that it’s not as black and white as you thought. It offers context that gives Tonya a point of view that was missing in her story previously, which is is amplified in Margot Robbie’s breathtaking performance. If you ask me, this is by far one of the best biopic’s we’ve seen in recent years. Click here to listen to our full review. 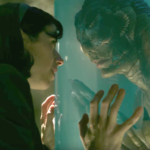 Guillermo del Toro’s The Shape of Water is a beautiful and fully realized film about loneliness and our desire for love. The great performances of the film, led by a mesmerizing Sally Hawkins, convey those ideas in such evocative ways that lingers long after the film is over. The cinematography, set design and score also make this experience so magical. The fairy tale landscape and story structure adds a timeless quality that will stand the test of time. 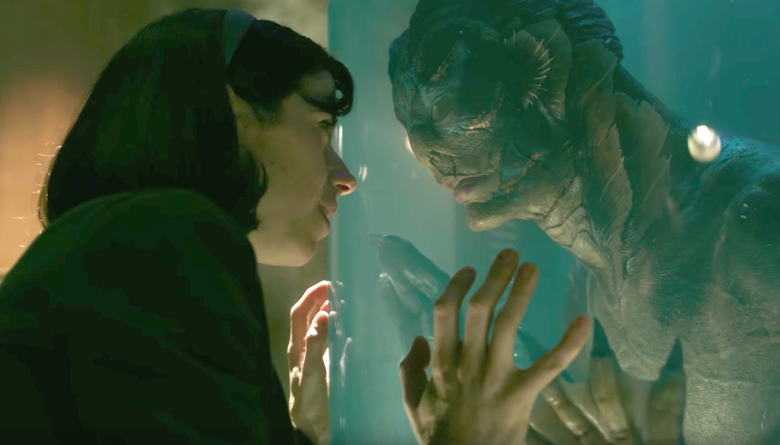 This has del Toro’s fingerprint all over it, and the results could not be more elegant and poignant when you see how he uses monsters – something that he said “saved him” – to create a gorgeous love story that emulates how powerful love is to our lives. There is a meta quality to that and it moved me. Click here to listen to our full review. 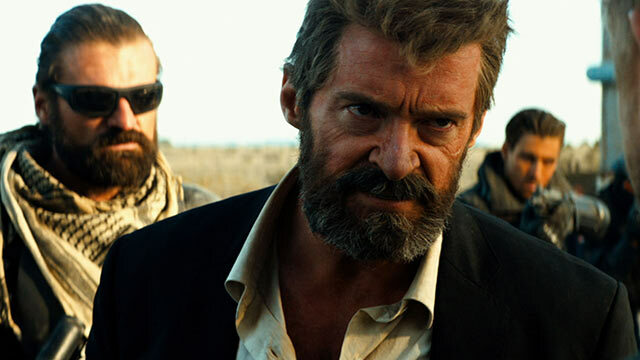 For my money, Logan is the best superhero film of 2017, and one of the best we’ve seen to date. The familial dynamics at play between Logan, Professor X and Laura are so poignant and visceral when you come to understand that they are simply seeking normalcy. However, they are being hunted because of who they are, and as are result they are forced to fight for their freedom. It’s in that where the film’s violence strikes me in how it juxtaposes the peace these characters are longing for, adding weight to the film’s pathos in regards to those familial dynamics between our three heroes. The death and carnage that comes about is truly heartbreaking when you see it all crystallize, and the brutality depicted in the middle of that chaos is necessary in emulating how this purging effects these characters in a deep way. And for me, it makes those final moments a gut-punch when you see Laura and Logan admitting the truth of who they are to one another. I’m still recovering from that moment. Click here to listen to our full review. 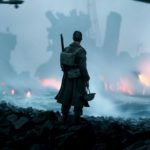 Dunkirk is a the best directed film of the year and perhaps Christopher Nolan’s best film yet. The way he plays with space and time, alongside his technical prowess of sensory storytelling, makes the film so immersive in supplanting you into these events. It’s fascinating to see how these individual throughlines come together to showcase how singular the vision is for every character – they just want to survive. The beauty at the center of Dunkirk and how it taps into the intimacy of heroism, even in failure, is breathtaking to me. The juxtaposing nature of the film, a Spitfire pilot who sacrifices himself for his fellow comrades who are running from the enemy in defeat, is stunning in how human it all is. 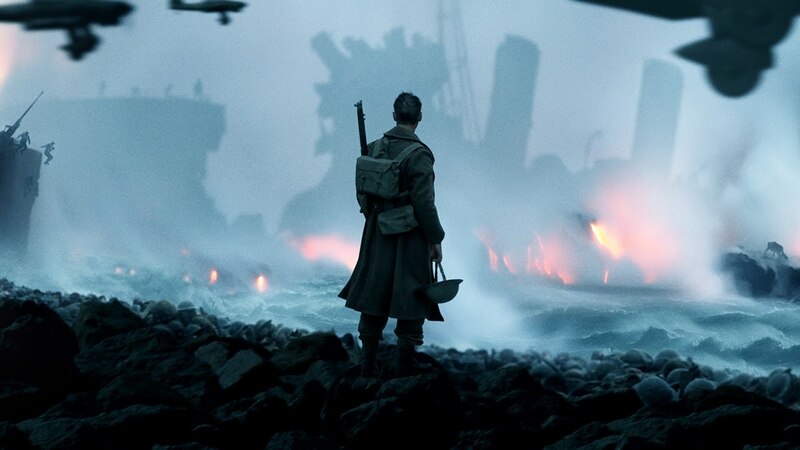 And the way Nolan edits the film, the sound design, the score and the use of little dialogue works in amplifying those ideas, making Dunkirk a one-of-a-kind war film. Click here to listen to our full review. Timothée Chalamet, remember the name. A lot has been said about his performance in Call Me By Your Name and it’s all very deserved. The way he emulates teenage innocence and eagerness for romanticism is charming and very magnetic. At the same time, there’s a level of adolescent confusion in Elio that Chalamet renders impeccably as he tries to find his identity. As a result, Call Me By Your Name is a beautiful coming of age film that eventually features an endearing romance that blossoms in the back-half of the film. In the end though, while the relationship between Elio and Oliver is charming as heck, it’s how Elio finds himself through that summer fling that wrecks me in the end. The conversation that Elio has with his father – my favorite scene of the year – cements that home even further. Meaning, there’s not only pain and heartache in that reflection by the fire, but also a tinge of hope and relief. It’s astounding in how powerful it is. Click here to listen to our full review. 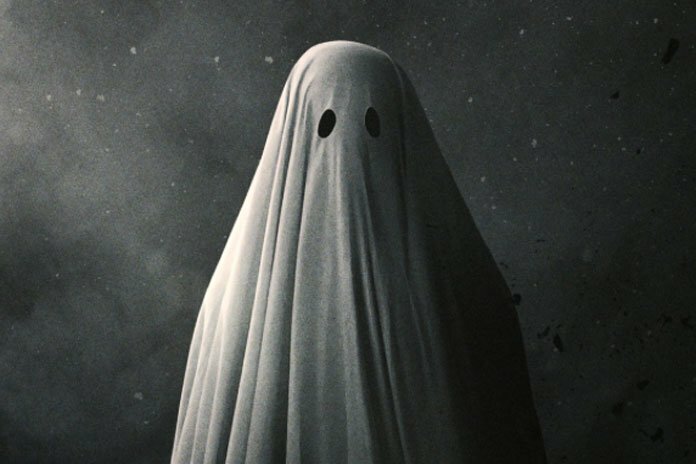 A Ghost Story is one of the most unique films I’ve ever seen. The gimmick of the bed sheet with the holes cut out for eyes could have come off as silly, but it never does thanks to the deft hands of David Lowery. Instead, it’s one of the most profound and majestic cinematic experiences I’ve ever had, especially as a film to cover grief and closure. The film argues that closure, in relation to death, is not only important to the living, but perhaps even to the dead. 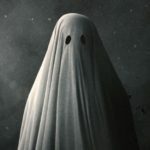 The ghost at the center of the film lingers on in vast and palpable loneliness as he seeks answers to a few burning questions. What happens to my wife? What about my legacy? What about my home that I love? Those are heavy questions that Lowery attempts to answer, and I’m just scratching the surface. A Ghost Story patiently walks us through the emotional journey of coping with loss and finding that closure that we desperately seek, and the pathos underneath that for me was very potent in the end. Click here to listen to our full review. 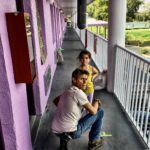 The Florida Project is not going to be for everyone, but I found it to be a truly authentic and affecting look at childhood innocence. Sean Baker’s captures a dynamic that is completely overlooked and full of tragic irony, when you see how this mother and daughter struggle to survive in an area that is rich in tourism. Disney World is just down the road from where little Moonee lives with her mom, yet it couldn’t be further away. Yet, she doesn’t let her circumstances define her. She creates her own magical kingdom by treating life with vigor and excitement regardless of what’s happening around her. Equally, Halley lives her life to the fullest and in ways that are sometimes selfish, but she does so while doing her best to care for Moonee. They aren’t always likeable. They make poor choices. But they are also a product of their circumstances and doing their best to get by each day. 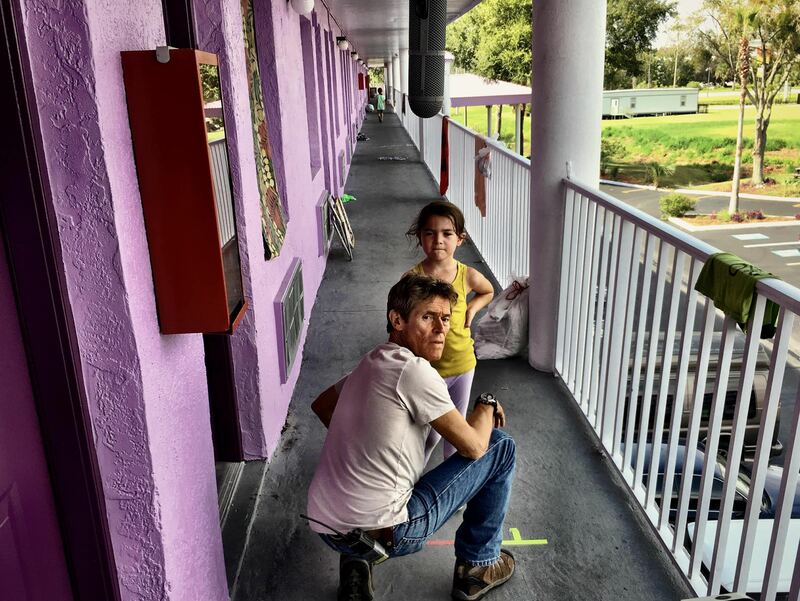 Sean Baker’s vision for The Florida Project is brilliant in concept and even more vital in execution. The ending to this film is easily some of the best filmmaking of 2017. Click here to listen to our full review. The Red Turtle moved me emotionally more than any other film this year. It broke me in every way. It’s the first non-Japanese film from Studio Ghibli, but it has the stunning prowess and evocative imagery we’ve loved from them over the years. 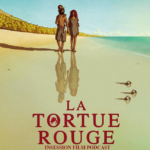 The Red Turtle is a beautiful film about love, connecting, and perseverance as it relates to the cyclical nature of life and death. It’s about realizing that good things can come from hard experiences and the importance of that realization, especially since tragedy can strike at any time. Perhaps watching this with my son next me had a major influence, but I was deeply moved by how this film explores all those notions with these characters – and using no dialogue in the process. 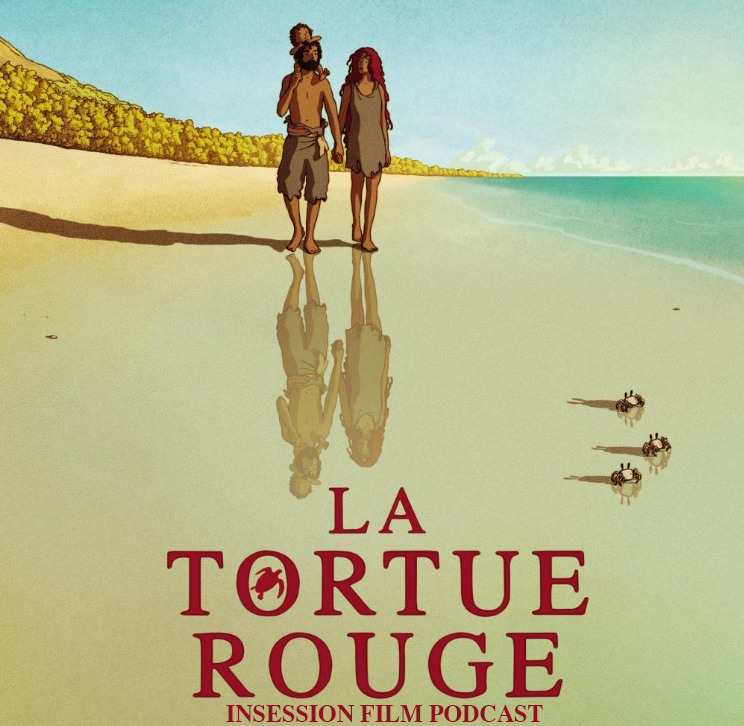 The Red Turtle excels with excellence using gorgeous animation, a gripping musical score and poignant themes to drive its story and what its characters experience. And for me, it made for an unforgettable viewing experience. Click here to listen to our full review. 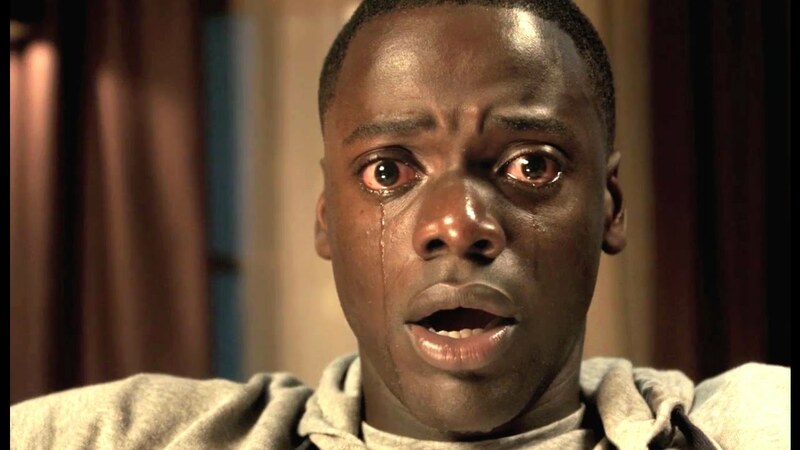 Get Out is one of the smartest horror films we’ve seen in a long time. As a horror film, Jordan Peele creates a visceral experience that doesn’t rely on conventional tropes or tactics to conjure its thrill. Instead he cleverly let’s the concept at hand and the performances do all the work. The cultural expectations that are exposed create a dramatic irony that becomes horrifying within the context of what’s happening to Chris – a mirror representation of what many people go through in our country today. The insights that are revealed are shocking and probably something that many of us don’t think about on a daily basis. Adding to that brilliance, is how Peele uses the comedy of this film to simultaneously create levity, while also adding to the social commentary underneath the horror. 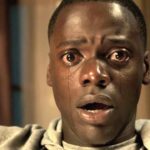 The experience of Get Out is unforgettable, and will hopefully provoke audiences to wrestle with why this material matters to so many. As a directorial debut, it’s hard to top what Peele does here. Click here to listen to our full review. 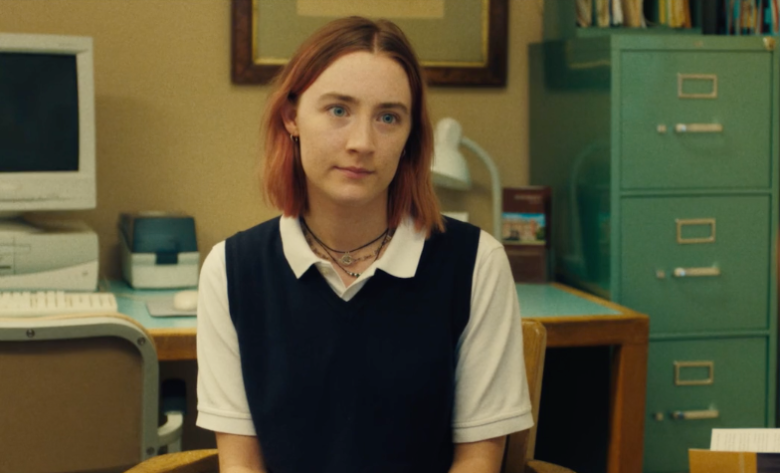 Speaking of directorial debut’s, Greta Gerwig’s Lady Bird is a delight in every way and a powerful work of cinema. As a coming age, despite the fact that I’m male and grew up in Michigan, it spoke to my experience more closely than perhaps any other film I’ve seen in how it deals with family relationships and the process of becoming who you are. The way Gerwig taps into the fears and emotions of that process, and the idea that the person we want aim to become isn’t all it cracked up to be, is striking in its relatability. Lady Bird is also a spirited and inspired film about places, and how places define us whether we are aware of it or not. 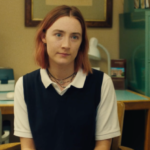 It’s captivating to see how Lady Bird – the character – becomes intertwined with her complacency of Sacramento, her eagerness to move and how that becomes more conflicted with the actions she takes at the end. The central relationship with her mom Marion only makes that more affecting and visceral. Saoirse Ronan and Laurie Metcalf are a dynamic duo that will stick with me for a long time. 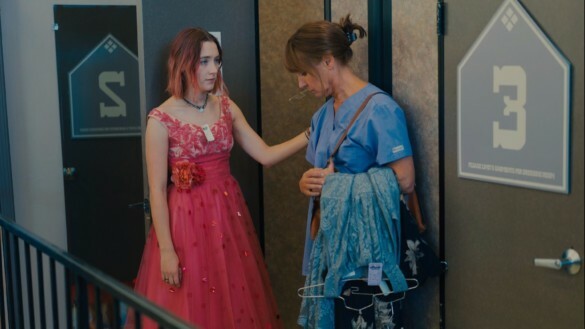 Gerwig’s direction is astounding for a first-timer in how she demonstrates precision and control, giving Lady Bird a warmth and a charm that I loved. It’s my favorite film of 2017. Click here to listen to our full review.